America, 1961 year. Having killed the Nazi General Skull, you won only a temporary victory. The world continues to be ruled by the Nazis. You are BJ Blaskovitz nicknamed "Creepy Billy," a fighter of resistance, a thunderstorm of the Nazi empire and the last hope of humanity for freedom. Only you have the strength, trunk and ingenuity to return to the US, to kill the Nazis and fan the flames of the second American revolution. - Go on a stunning journey, whose goal is to crush the Nazi war machine on American soil. 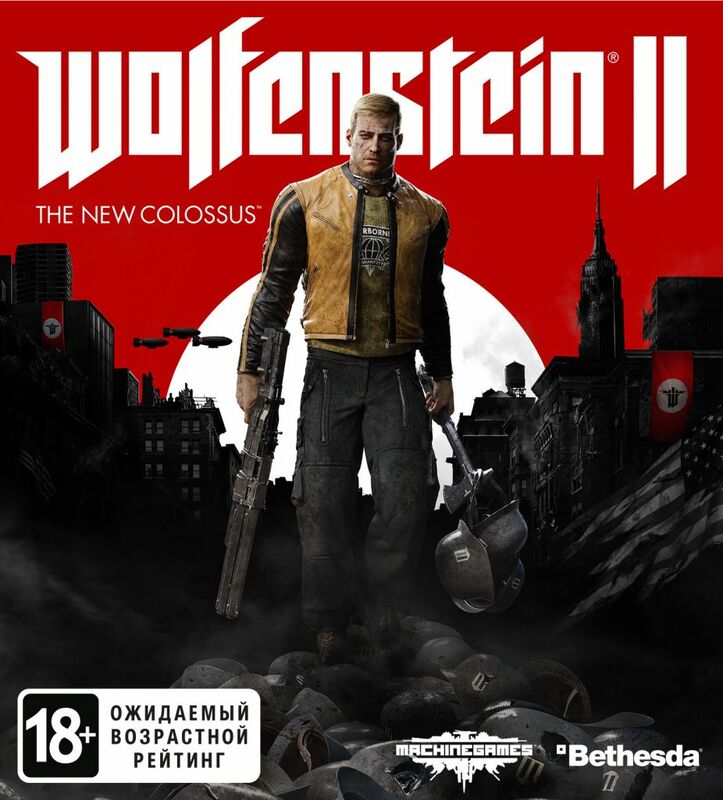 Playing for Bi Jay Blaskowitz, protect your family and friends, find new allies, fight with demons from your own dark past and lead rebel forces to fight Nazi invaders. - Immerse yourself in a world full of unforgettable characters that make it even more interesting and brighter. Again, meet your friends and associates: Anya, Caroline, Bombat, Seth, Max Hass, Fergus or Wyatt. Meet new characters such as Horton and Grace, and all together, fight back the evil Frau Engel and her Nazi army. - Put the Nazis to shreds, using the latest military developments: "LaserKraftwerk," a universal super-powerful laser, spraying enemies at atoms, or "DieselKraftwerk," a quick-fire reactive grenade launcher that destroys crowds of opponents. And also at your service - advanced pistols, machine guns and axes. If this seems to you a little, improve your favorite guns and take one in each hand! Спасибо хороший продавец.Если можно подарок. Все отлично! Спс. Жду подарок. Ключ получил сразу после оплаты, спасибо. Спасибо, ключ пришёл моментально. Хочу подарок.